Bacterial vaginosis (BV) is a common gynaecological condition. Diagnosis of BV is typically based on Amsel criteria, Nugent score and/or bacterial culture. In this study, these conventional methods and two CE-IVD marked quantitative real-time (q)PCR assays were compared with microbiota analysis for the diagnosis of BV. Eighty women were evaluated for BV during two sequential hospital visits by Amsel criteria, Nugent score, culture, the AmpliSens® Florocenosis/Bacterial vaginosis-FRT PCR kit (InterLabService, Moscow, Russia), and the BD MAX™ Vaginal Panel (BD Diagnostics, MD, USA). Microbiota analysis based on amplicon sequencing of the 16S ribosomal RNA gene was used as reference test. The microbiota profile of 36/115 (31%) included cases was associated with BV. Based on microbiota analysis, the sensitivity of detecting BV was 38.9% for culture, 61.15% for Amsel criteria, 63.9% for Nugent score and the BD MAX assay, and 80.6% for the AmpliSens assay, while the specificity of all methods was ≥ 92.4%. Microbiota profiles of the cases with discrepant results between microbiota analysis and the diagnostic methods were variable. All five diagnostic methods missed BV positive cases with a relatively high abundance of the genus Alloscardovia, Bifidobacterium, or Dialister, which were categorised as unspecified dysbiosis by the AmpliSens assay. 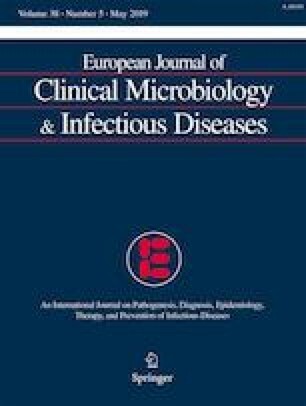 Compared to Amsel criteria, Nugent score, culture, and the BD MAX assay, the AmpliSens assay was most in agreement with microbiota analysis, indicating that currently, the AmpliSens assay may be the best diagnostic method available to diagnose BV in a routine clinical setting. The online version of this article ( https://doi.org/10.1007/s10096-019-03538-7) contains supplementary material, which is available to authorized users. The authors are grateful to Hanna Breijer† and Leonie van den Berg of NMDL-LCPL, and Frank M.M. Smedts, Ph.D. of the Pathology Department of the Reinier de Graaf Gasthuis (RdGG, Delft, the Netherlands) for their technical assistance. LD and WQ are shareholders of DDL Diagnostic Laboratory. The other authors declare that they have no competing interests. All procedures performed were in accordance with the ethical standards of the local ethics board (METC Zuidwest Holland, The Hague, The Netherlands) and with the 1964 Helsinki declaration and its later amendments or comparable ethical standards.